If you slip and fall on a wet or sticky floor at a restaurant or a supermarket, and you’re injured, what happens? 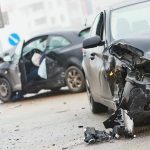 What if you are injured in traffic because another driver was negligent, or if you are injured at home trying to use a defective tool or appliance? How can a product liability lawyer help? If you suffer a personal injury because another person was negligent – in a traffic collision or in any other kind of accident scenario – you are entitled by California law to full compensation for your medical expenses, lost wages, and all additional related losses and damages. 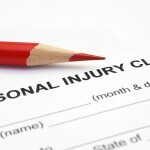 IF YOU FILE A PERSONAL INJURY CLAIM, WHAT WILL YOU NEED? 1. 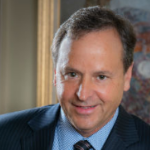 You will need to reach out immediately to an experienced Pasadena personal injury attorney who will handle your case, protect your rights, and fight hard for the compensation you deserve. 2. You will also need the evidence that proves your personal injury claim, and you’ll have to gather some of that evidence on your own. What you’ll need to do is explained below. The best personal injury attorney in California cannot help you if there is no evidence that proves your claim, and the best evidence can’t help you without an attorney who can explain what that evidence means. To prevail with a personal injury claim, you must have both. WHAT KIND OF EVIDENCE WILL YOU NEED? WHAT EVIDENCE WILL BE NEEDED FROM THE ACCIDENT SCENE? When someone accidentally injures you by being negligent, you will need to contact a personal injury lawyer immediately after you’ve received medical treatment, but at the site of the accident, there will not be an attorney there to advise you. 1. Call for medical help: The first priority after a traffic injury – or any other injury – is to seek medical treatment. 2. Contact the police: You probably won’t need to call the police if you slip in a supermarket, but if you are injured in traffic, make the call. Ask the officer or officers how you can get a hard copy of the police accident report and when it will be available. 3. Exchange contact and insurance details: In a traffic crash, obtain the names, addresses, phone numbers, license plate numbers, drivers’ license numbers, and insurance contact information from the other driver or drivers involved in the crash. 4. Take photos and talk to eyewitnesses: If there are eyewitnesses, ask for their contact information. Take photos of the accident scene, the vehicle damages, and your own injuries. Photos and eyewitnesses can be quite persuasive in personal injury cases. 5. If you are injured at a restaurant, a hotel, a sporting event or concert, an amusement park, or a retail location, report the injury to the management and get the details about the establishment’s liability insurance. WHAT OTHER “PHYSICAL” EVIDENCE MAY BE RELEVANT? Physical evidence that supports your personal injury claim can make all of the difference. If your clothes were shredded in a motorcycle accident, hang onto them. If your cell phone or cigarette lighter explodes and you sustain burn injuries, collect the shards of the phone or lighter. In a traffic collision, if the other driver was at-fault and the police are considering charges against that driver, they may collect physical evidence at the accident scene, and that’s a good thing. A conviction for the at-fault driver will enhance your personal injury claim. 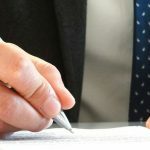 WHAT DOCUMENTS WILL YOU NEED FOR A PERSONAL INJURY CLAIM? Most of the evidence in a typical personal injury case is documentary evidence such as your medical records, the police accident report, and your auto insurance policy. This is why it is vital to have a medical examination after a traffic accident or a blow to the head – even if you do not think that you’ve been injured. If you have sustained a hard-to-find or latent injury, you’ll know after a medical exam, and you’ll start establishing the medical records that you will need if you choose later to pursue a personal injury claim. If you do not obtain a prompt medical exam – at least within 24 hours of an accident – and an injury or medical condition emerges later, it may not be easy to prove that you were injured in that specific accident. Make copies of every document related to or generated by the accident and injury, and store those documents securely. WHAT ABOUT VIDEO EVIDENCE AND EYEWITNESS TESTIMONY? Copies need to be made of any photographs and of any audio or video recordings of the accident. Your attorney should promptly question any eyewitnesses to the accident, before their memories start to fade. Memories fade and evidence deteriorates. Over time, witnesses and evidence can even disappear. That is why you must put a good personal injury lawyer on the case at once if you are injured by another person’s negligence here in southern California. The statute of limitations for personal injury cases in this state is two years from the date of the injury, but you can’t wait two years and then scramble to file a lawsuit at the last minute. Speak to an accident lawyer immediately after your medical examination. WHAT WILL IT COST YOU TO EXERCISE YOUR RIGHTS? What does it cost to pursue justice? If you’ve been injured in an accident because another person was negligent, your first consultation with an experienced Pasadena personal injury attorney is free. You’ll learn more about your rights and how the law applies in your own situation. If you and your attorney choose to move forward with legal action, you’ll pay no attorney’s fee until compensation is recovered on your behalf. 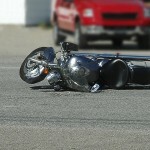 If you have been injured by negligence in California, the law is on your side, and a good lawyer’s help is your right.